Calling ALL residents of Braddell Heights! 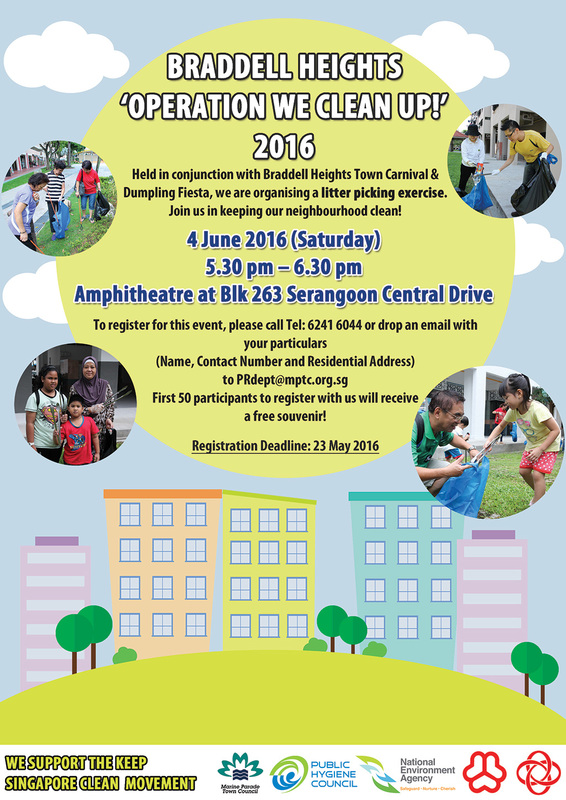 Join us in our litter picking exercise on 4 June 2016 (Saturday) from 5.30pm to 6.30pm at the amphitheatre of Blk 263 Serangoon Central Drive. This event is held in conjunction with Braddell Heights Town Carnival and Dumpling Fiesta. Let's do our part to keep our neighbourhood clean! For more info, please refer to the poster.